Focuses on the recent surge of foreign and Taiwan investment to mainland China's coastal provinces. 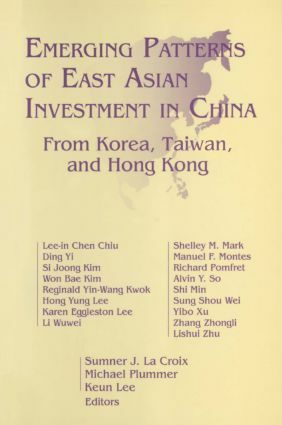 The 15 papers presented in this text provide data on the emerging pattern of East Asian investments in China and an understanding of the mistakes of early investors. The modern age with its emphasis on technical rationality has enabled a new and dangerous form of evil--administrative evil. Unmasking Administrative Evil discusses the overlooked relationship between evil and public affairs, as well as other fields and professions in public life. The authors argue that the tendency toward administrative evil, as manifested in acts of dehumanization and genocide, is deeply woven into the identity of public affairs. The common characteristic of administrative evil is that ordinary people within their normal professional and administrative roles can engage in acts of evil without being aware that they are doing anything wrong. Under conditions of moral inversion, people may even view their evil activity as good. In the face of what is now a clear and present danger in the United States, this book seeks to lay the groundwork for a more ethical and democratic public life; one that recognizes its potential for evil, and thereby creates greater possibilities for avoiding the hidden pathways that lead to state-sponsored dehumanization and destruction. UAE is updated and revised with new scholarship on administrative ethics, evil, and contemporary politics. The authors include new cases on the dangers of market-based governance, contracting out, and deregulation. There is an enhanced focus on the potential for administrative evil in the private sector. The authors have written a new Afterword on administrative approaches to the aftermath of evil, with the potential for expiation, healing, and reparations.